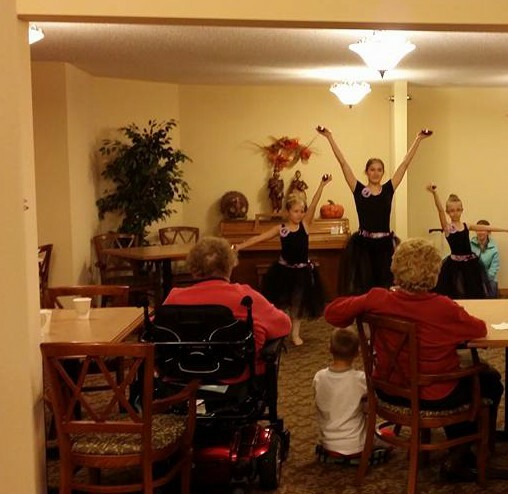 The residents just love to see our dancers perform. It truly makes a difference in their day. Our three dancers in costume and just about ready to take the gym floor to a full crowd. 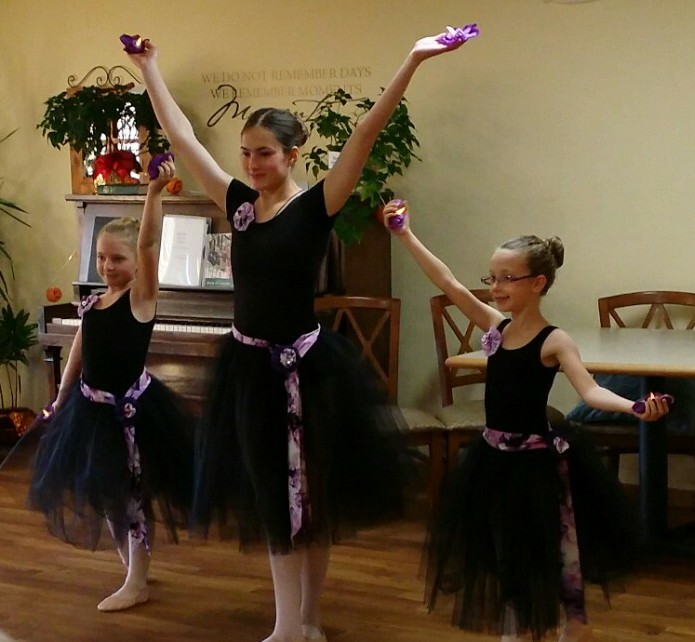 Vanessa, Madame Ashley, Rachel and Frannie striking a pose before their November 14, 2015 performance at the Cannon Falls High School. “The Moment” We were so proud of each and everyone of you that made this happen. It was one of those moment to cherish in years to come. Thank you, Thank you and thank you!! !